The Law Offices of Daniel A. Hochheiser is a highly experienced criminal defense firm that is dedicated to providing the residents of New York City with the aggressive representation that they deserve. With nearly half of a century of experience between the two of them, both Lawrence and Daniel Hochheiser are well-equipped to handle the most difficult of criminal cases, including those involving white collar crimes, murder, drug crimes, computer-related offenses and everything in between. They also represent clients in both state and federal court, so you can rest assured that your case is in good hands when you enlist the help of the firm—regardless of how minor or severe your charges may be. 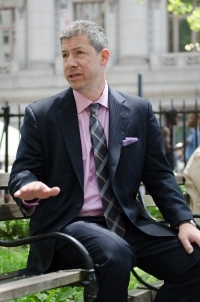 Daniel A. Hochheiser is the senior partner at the Law Offices of Daniel A. Hochheiser. He has a reputation of providing strategic representation based on his solid legal knowledge. He has even lectured at several CLE programs sponsored by the New York Criminal Bar Association and the New York State Association of Criminal Defense Lawyers. In addition, he has served as counsel in many high profile cases. In addition, he is a former prosecutor in the Bronx County, which is a part of his background that he uses to his clients' advantage. For this reason, you should not hesitate to consult with a premier attorney at the firm if you have recently been charged with a serious criminal offense in New York City, or any surrounding area. Whether you have been accused of driving while intoxicated ( DWI) or leaving the scene of an accident, we encourage you to place you trust in the hands of a NYC criminal defense lawyer at Law Offices of Daniel A. Hochheiser. We have made it our goal to provide nothing less than top-notch legal service that our clients expect, so you should waste no time in contacting the firm today. The initial consultation is free when you call us at (800) 813-9069 and we are available to take your call 24 hours a day, 7 days a week, so there is no reason to put it off any longer. Enlist the professional help that you will need today! Proudly serving clients throughout New York City and surrounding areas including Manhattan, Brooklyn, Queens, Bronx, Staten Island, Westchester, and Nassau. View our firm's profile on FindaCriminalDefenseAttorney.com.